...to inspire fresh insights and share wisdom with the world which if people knew, understood, and acted upon would transform their experience of living. After over 25 years working in Financial Services Mark was living a life of total frustration. He decided to train in NLP (Neuro Linguistic Programming) with the aim of being successful in his day job. He soon realized, however, he was not living his true purpose. In that moment he decided to quit financial services and to do what he loved, which was to help people change their life. 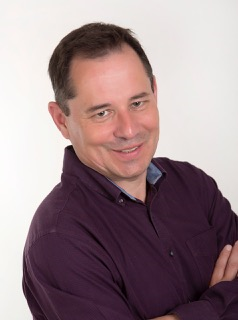 Mark loved NLP so much that he trained to Master Practitioner level, and after meeting with EFT (Emotional Freedom Techniques) Master, and creator of Matrix Re-imprinting, Karl Dawson, He trained also trained in these disciplines which he described as “the final piece of the Jigsaw”. Mark is the author of the Amazon Best Selling Book “The Financial Healer and presents “The Spirit of EFT show” on EFT radio. Mark’s life purpose is “to inspire fresh insights and share wisdom with the world which if people knew, understood, and acted upon would transform their experience of living”.